Alfa Laval TJ40G Burst is a rotary jet head tank cleaner with a special nozzle that enables fast chemical wetting of the tank to help reduce cleaning time and water and chemical usage. Designed for hygienic applications such as food, dairy, personal care and beverages, it provides exceptional cleanability, better end-product quality, greater overall output and up to 70% reduction in operating costs. TJ40G Burst combines the best features of Alfa Laval rotary jet heads, rotary spray heads, and static spray balls to effectively soften and remove stubborn residues. 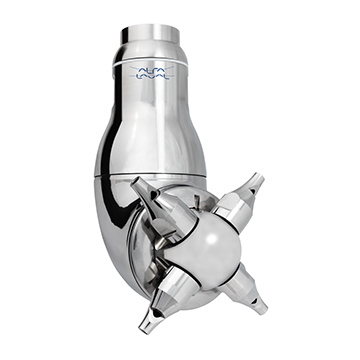 The Alfa Laval Burst nozzle maximizes chemical usage and drastically reduces the amount of time and water. The rotary jet head/burst nozzle combination is ideal for fermentation tanks, yeast manufacturing tanks and other applications with stubborn residues. The strong jet generates a high mechanical force and covers 360° to efficiently remove remaining products and residues and provide the best hygienic conditions for production. As the force generated by the rotary jet head increases, the water consumption decreases, which leads to significant cost savings as illustrated in the diagrams. (based on Dr. Sinner’s cleaning philosophy. You can read more about the efficiency, practicality and technical details of the TJ40G Rotary Jet Head tank cleaning devices. How does the TJ40G work? Click here to find out. 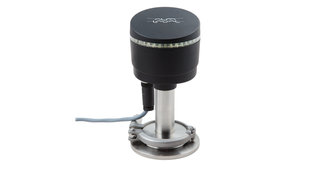 Alfa Laval Rotacheck validates the rotary jet heads cleaning process, reduces water consumption and product loss. Provides peace of mind. we don’t offer any one-size-fits-all, out-of-the-box solutions. Before making any suggestions we always listen carefully to your requirements, goals and ambitions. We would gladly discuss the possibilities in your brewery and speak to you in person.